Find the right tour for you through Fira. 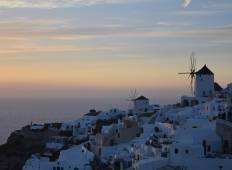 We've got 8 tours going to Fira, starting from just 6 days in length, and the longest tour is 20 days. The most popular month to go is September, which has the most number of tour departures. "Loved the walks, I would have liked more options such as beach time or cultural activities..."
"We had a great time. 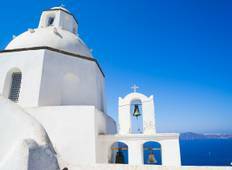 Naxos and Santorini are wonderful islands to visit. Everything..."